Imagine multiple collisions of musical worlds where sparks fly and mediations flow through secret pulses dictated by a magic square. 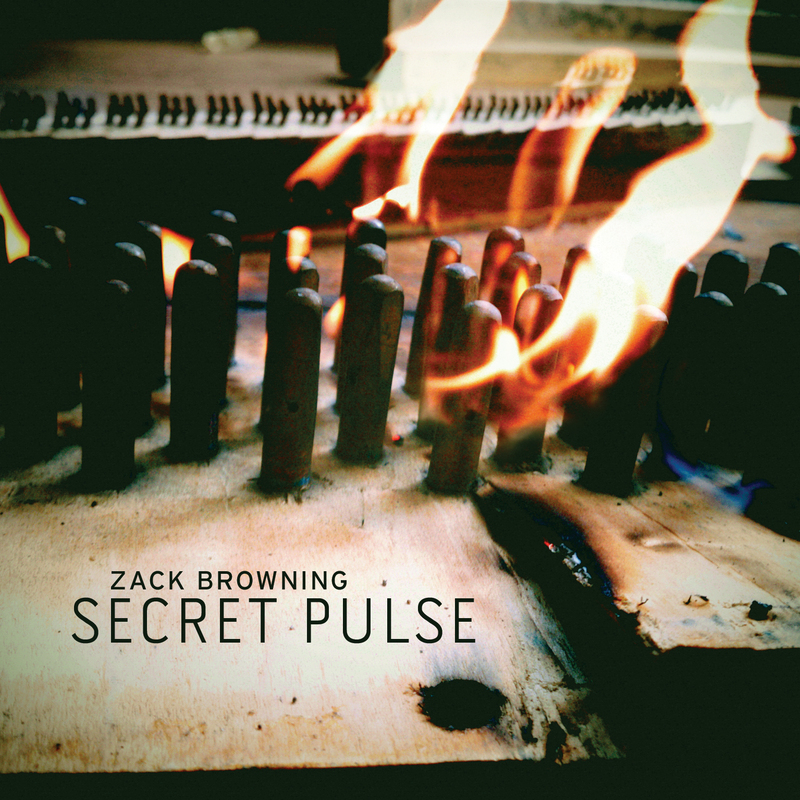 This is the world of Secret Pulse where composer Zack Browning presents a dramatic music of rhythmically-charged pop-inspired riffs battling transcendental melodies. Each composition can be compared to a spider’s web; musically spinning out events whose design is based on a secret pulse derived from the birth dates of the performers using the Lo Shu Square and feng shui. The special connection between the virtuosic performers on this CD and the music is captured in their powerful performances. Ensemble Unity of Taiwan rocks on the Hakka folksong “Cutting Flowers” in Hakka Fusion. The Cadillac Moon Ensemble becomes speed devils in Secret Pulse and then makes it funky in Moon Thrust and its use of Van Morrison’s “Moondance”. The JACK Quartet both mesmerizes and marvels in their interpretation of the String Quartet, moving effortlessly from soft chorales to loud funk. In Flying Tones, the UCF Percussion Ensemble grooves and grinds then provides a personal and moving rendition of the UCF Alma Mater. The four ensembles consist of musical all stars whose performances on this CD are extraordinary. The music of Zack Browning is described as “way-cool in attitude” and “speed-demon music” (The Atlanta Journal-Constitution) and “propulsive, giddy, rocking…, a rush of cyclic riffs and fractured meters” (The New York Times). The Irish Times has proclaimed he is “bringing together the procedures of high musical art with the taste of popular culture”. Browning’s composition awards have included two Illinois Arts Council Composer Fellowships, a Chamber Music America Commission, and two Arnold O. Beckman Awards and two FAA Fellowships from the University of Illinois. Performances include the Bonk Festival of New Music (Tampa), the International Society for Contemporary Music Festival (Miami), International Computer Music Conference (New Orleans), Spark Festival (Minneapolis), Gaudeamus Music Week (Amsterdam), Composers Choice Festival (Dublin), Sonorities Festival (Belfast) , Skinneskatteberg Festival (Sweden), Asian Contemporary Music Festival (Seoul), and National Chiang Kai Shek Cultural Center (Taipei).